The Beatles 50 Years Ago Today: April 3, 1967. Beatles Radio: The Beatles, Solos, Covers, Birthdays, News The Fab 4 and More! The last song to be completed for the Sgt. Pepper's Lonely Hearts Club Band album was Within You Without You. Eight violins and three cellos were recorded onto track three, after which Harrison - the only member of The Beatles in attendance - overdubbed his lead vocals, as well as some extra sitar, onto track four. The recording took place in Studio One, and ended at 3am the following morning. The violinists were Erich Gruenberg, Alan Loveday, Julien Gaillard, Paul Scherman, Ralph Elman, David Wolfsthal, Jack Rothstein and Jack Greene, and the cellists were Reginald Kilbey, Allen Ford and Peter Beavan. Each was paid the standard Musicians' Union rate of £9, apart from Gruenberg, the leader of the ensemble, who was paid £11. The strings were conducted by George Martin, who had prepared a score based on Harrison's ideas. The parts were recorded numerous times, each wiping the previous attempt, before all were satisfied with the results. When Within You Without You was first recorded on March 15, 1967, the song was referred to as having three parts, although it was recorded as one. The numbering of the parts continued through to this session and the next, with part one mixed separately from two and three. Mono mixing of Within You Without You began during this session, but the results remained unused. Part one was mixed three times; parts two and three were mixed twice. 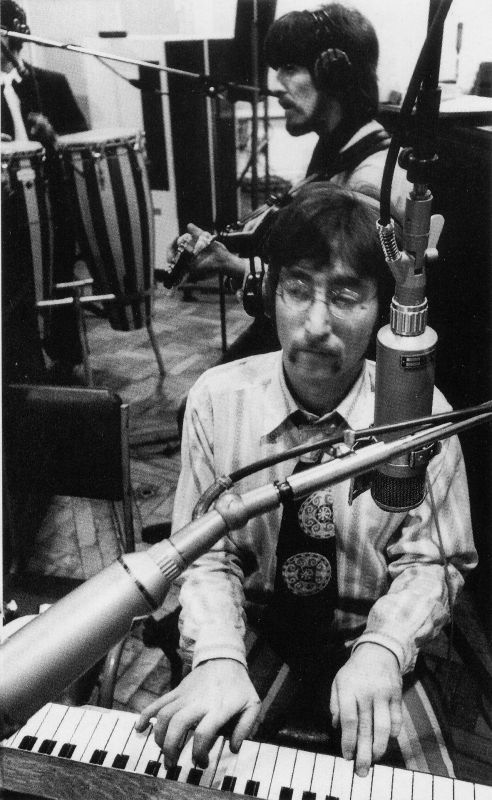 The mixing session took place in the control room of Studio Two, from 3-6.30am in the morning of April 4, 1967.